I want to take just a moment to update the Easy-Peasy Homemade Sour Cream. That experiment was completely and totally successful. 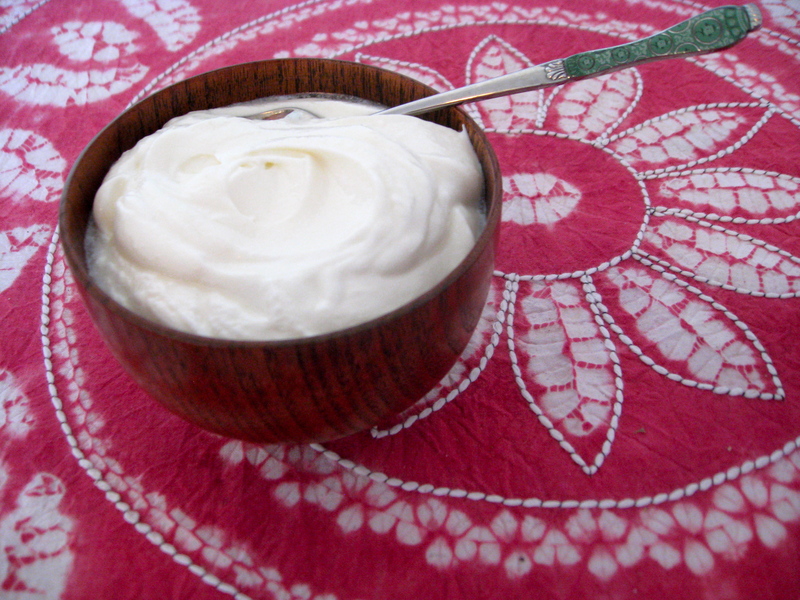 The sour cream I made using this recipe tastes so natural and rich, thick and creamy. Another one of those ingredients that I can’t buy in Kunming – sour cream. After checking a bunch of recipes and videos on how to make it, I figured out this method that works. Since most recipes call for buttermilk or making your own for which you use vinegar and milk, I shortened the steps. The hardest part is waiting 12 hours for it to do it’s thing, ’cause I usually need instant gratification! In a one-cup measuring cup put one tablespoon white wine vinegar (I think regular white vinegar will work but didn’t try it). Pour in whipping cream (not whipped) to fill the measuring cup. Stir. Cover with cheese cloth or a kitchen towel, or a Tupperware bowl that has a vented lid and open the vent slightly. This allows the gases that are produced to escape and for the mixture to ‘breathe’. Place in a warm location in your kitchen. Wait 12 hours.